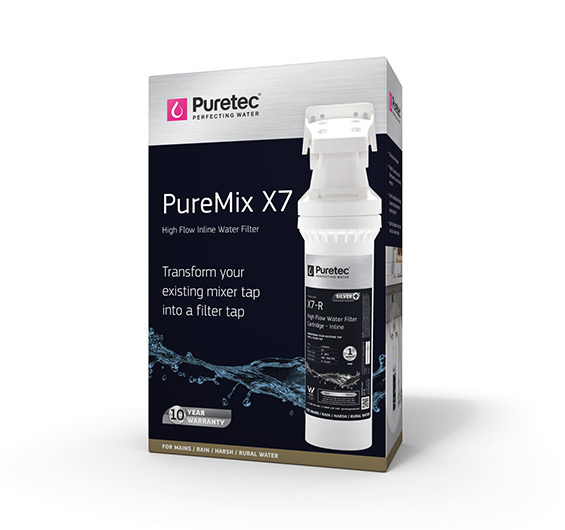 The PureMix X7 system is designed specifically for applications with higher sediment and harsher water quality such as rural supplies, areas with older pipe infrastructure and rainwater. 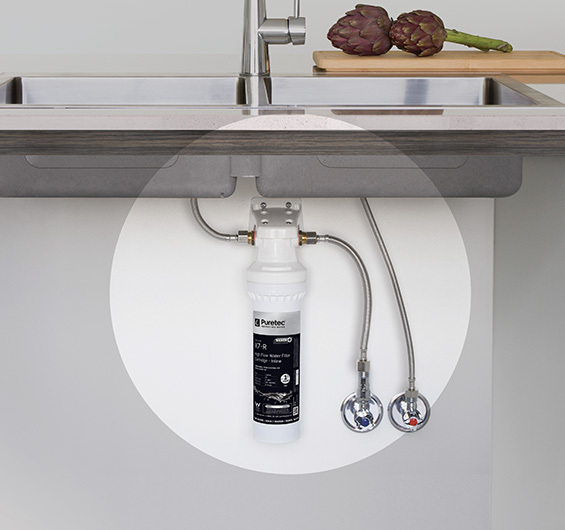 With 4 levels of filtration, the PureMix X7 filters out sediment, rust and dirt down to 1 micron*. Bad taste, odour, chlorine and other chemicals leaving healthy, grate tasting, clean, safe and pure water. • Filters down to 1 micron*. • Ionic silver-based antimicrobial carbon filtration media. • New faster flowing system. • Great tasting, healthy water on tap. • Filters all the cold water for your water tap. • No need for a separate filter tap. • Quick-twist hygienic cartridge changes DIY. • Reduces streaking on glassware. • Quick and easy installation, ideal for stone bench tops. Mounts horizontally or vertically - no shelf cutouts required. • Sediment, dirt, rust and other particles filtered down to 1 micron including Giardia and Cryptosporidium cysts. • Taste, odour, chlorine and other chemicals are absorbed by the granular activated carbon technology. • Scale and lime deposits are inhibited reducing build-up in appliances. Lead reduction - a harmful heavy metal. 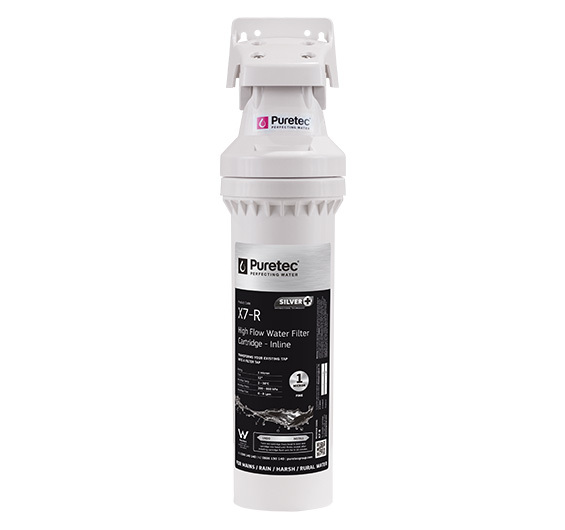 Important Note: Use only genuine Puretec replacement cartridge. ^10 year warranty is 1 year parts and labour, plus 9 years parts only. Excludes cartridges. *Micron Rating is nominal. *Please note, this product may not be suitable if you have concerns about bacteria such as E-Coli in your water. Contact us for a solution.